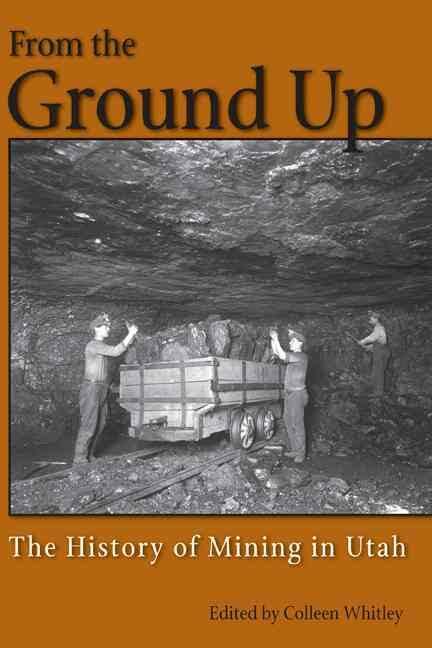 This first thorough survey of Utah's mining history provides overviews of the geology, economic history, and folklore of mining in the state; recounts the development of a selection of historically significant minerals, such as coal, salines, and uranium; and includes region-by-region histories of Utah's mining booms and busts. The essays are written by notable experts in the field, among them historians Thomas G Alexander, Martha Sonntag Bradley-Evans, James E. Fell Jr., Laurence P. James, Brigham D. Madsen, Allen Kent Powell, W. Paul Reee, and Raye C Ringholz and geologist J. Wallace Gwynn William T. Parry. "Hard-rock and coal mining have exerted an incredible impact on the economic landscape, the natural landscape, and the population landscape of the state, and the legacy continues.....Mining has changed Utah in many ways, and the history of that industry is significant part of the present and the future." Hardback, 2006, 506p . : ill. ; 15x24 cm.